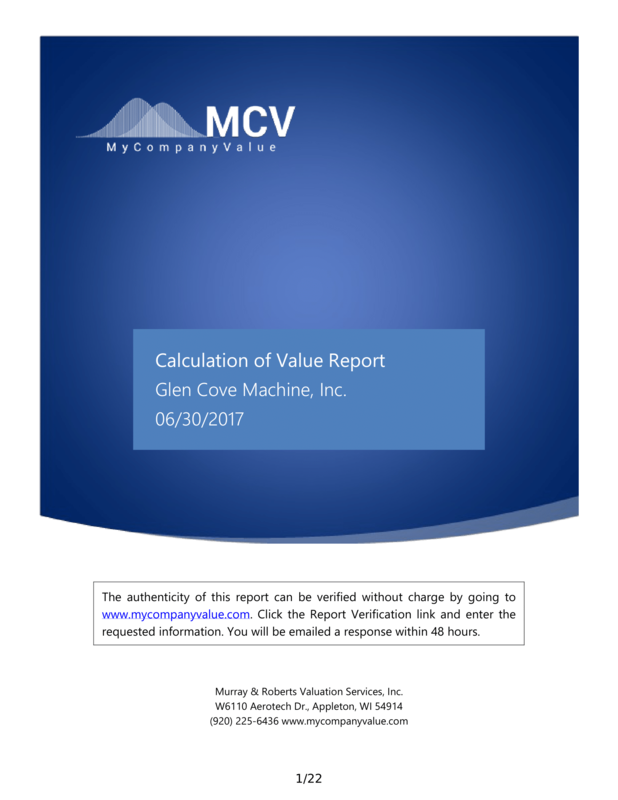 When we developed mycompanyvalue.com, we wanted all of the valuation methodologies applied to be proven the best by data testing. We accomplished this in our sales and net income modeling methodologies (see our articles Is There a Better Method of Forecasting Sales? and Modeling Operating Income from Historical Data). How could we do the same with the Market Approach? Our source of comparable transaction data is the Deal Stats Database (formerly known as Pratts Stats, found at www.bvresources.com). We decided to turn this database inward upon itself, and see what it could tell us about how best to apply the data. Specifically, we tested many approaches applying median and mean ratios derived from subgroups of comparable companies. We calculated a variety of valuation ratios and used those ratios to estimate the values of the companies in the groups. Our first task was to pare down the data a little. We removed all transactions older than January 1, 2007. In our opinion, industry conditions can change significantly in ten years. We also removed transactions with very high and very low price to sales ratios. Our goal is to value companies based on their historic financial data. We weeded out transactions where it was clear that unknown factors determined the transaction price. Including this data would only exaggerate the measured variability of the data, as well as potentially skew our results. After these reductions, we still had 14,630 companies left to value. We then calculated median and mean price to sales (P/S), price to gross profit (P/GP), and price to operating profit (P/E) ratios for all of the companies together (global), as well as for each industry group. We used these ratios to calculate value estimates for each company. We also experimented with blending the results of all three methods based on their coefficients of determination (R2). We calculated the variance and variance percentage for each company and method by comparing the value estimates generated to the actual selling price of the company. We measured the absolute value of the variance percentages for each company and method, and aggregated them into totals. We used these ‘aggregated variances’ as our primary indicator of a method’s accuracy. The lower the aggregated variance, the more accurate the method. As we found previously in our analysis of sales projection methods, the results of this testing was conclusive and enlightening. In all of our testing of different methodologies, the largest reduction in variances came from using median data instead of means (averages). The global median P/S variance was 33% lower than the variance determined using the mean; the median P/E variance was 94% lower. Similar improvements were found in each industry. Clearly median ratios, which are effected less by outliers, are more accurate than ratios generated by averages. We had long labored under the presumption that size mattered when determining valuation multiples. We assumed, for a variety of reasons, that investors’ perception of risk would decrease as annual sales increased for companies in a given industry. We sought to test this theory by grouping all of the companies by size (annual sales), and measuring the P/S and P/E ratios for each group. After doing so, we found a clear progression of higher multiples as sales increased. After sorting the full database into industry groups, we measured the medians, means, and deviations for each group. We calculated valuations based on these ratios, as well as variances and variance percentages, then aggregated the absolute value of the variances by industry and in total. We then applied a size adjustment to our valuation formula based on the progression of higher multiples we measured globally. To our surprise, variances in almost all industries, and in total, increased significantly after applying the size adjustment. Upon closer examination of the data by industry, we found almost no measurable size-based ratio differences within industries. The median data for each industry produced lower variances than the size adjusted data. The size differences we found globally (all companies from all industries) were a by-product of measuring all industries together. Some industries are inherently higher in sales than others, and often those industries have higher multiples, but larger companies within an industry do not have consistently higher ratios than smaller companies in the same industry (among the nonpublic companies included in the database). Industry identification is key. This fact is further demonstrated by a comparison of the variances using ratios calculated globally to variances using ratios calculated by industry. The aggregated industry level P/S method variance was 11.5% lower than the global P/S variance. We calculated value estimates, variances, absolute variance percentages, and aggregated variances using (median) price to sales (P/S), price to gross profit (P/GP), and price to operating income (P/E) ratios. The P/GP variance was the lowest (10,370), followed by P/S (10,783), and P/E was the highest (18,754). Unfortunately, not all companies and industries have gross profit data. In industries where gross profit data is common, P/GP had an advantage over P/S. While both the P/S and P/GP ratios had an advantage over P/E, in some industries (manufacturing particularly) P/E ratios had lower variances. In an attempt to account for these industry differences, we collected coefficient of determination values (R2) for each ratio in each industry. The R2 measures the degree to which the data used in the ratio calculation (e.g. price and sales) are correlated. By measuring R2, we can automate the ratio selection for each industry. Results under this method were mixed; the variance was less than the P/E ratio variance, but higher than the P/S variance. We found that, even in industries where the P/E R2 was highest, the P/E aggregate variance was often still higher than other methods. The inherent problem of P/E ratios is scale. For most companies, operating income is a very small percentage of sales. Therefore relatively small income statement adjustments have a much larger impact on operating income than sales. Let’s assume for example, a company has $1 million in sales per year with an 8% operating profit. A $20,000 sales adjustment only impacts sales by 2%, but is a 25% adjustment to operating income. P/S ratios typically range from .3 to 1.0, while P/E ratios typically range from 3.0 to 10.0. Therefore small differences in operating income have a magnified impact on valuation, while small differences in sales are muted. If we assume the applicable industry P/S ratio is .5, and the industry P/E is 6, then the $20,000 adjustment impacts the sales valuation by only $10,000, while the same adjustment on a P/E basis results in a $120,000 change. Scale causes P/E variances to be inherently higher. In order to mitigate this effect, we blended the valuation results from each ratio based on their relative R2s. First, either the P/S or P/GP was chosen based on which had a higher R2. We then blended the valuations determined from P/S or P/GP with the P/E valuation based on their relative R2s (if they were equal, each valuation would contribute 50% to the conclusion). This method resulted in an aggregate variance of 11,302; still 5% higher than the aggregated variance determined using the P/S ratio alone. To account for the impact of scale, we weighted the P/S or P/GP R2 data four times more than the P/E data before blending the results (the degree of weighting was arrived at after testing a wide range, and choosing the result with the lowest ending variance). This resulted in an aggregate variance of 10,232; 5% below the P/S variance. In our opinion, this detailed analysis of the Deal Stats Database has yielded valuable results, with clear indications for best practices. Medians should be used instead of means, and industry grouping and selection is very important. Size adjustments are generally unnecessary for nonpublic companies. Price to gross profit and price to sales ratios consistently produce more accurate results than price to operating income, but can be improved upon by blending price to operating income results appropriately. This effort has dramatically improved the quality of our valuation tool, but our data analysis work has not ended, and I am sure we will continue to find new ways to hone our methods.